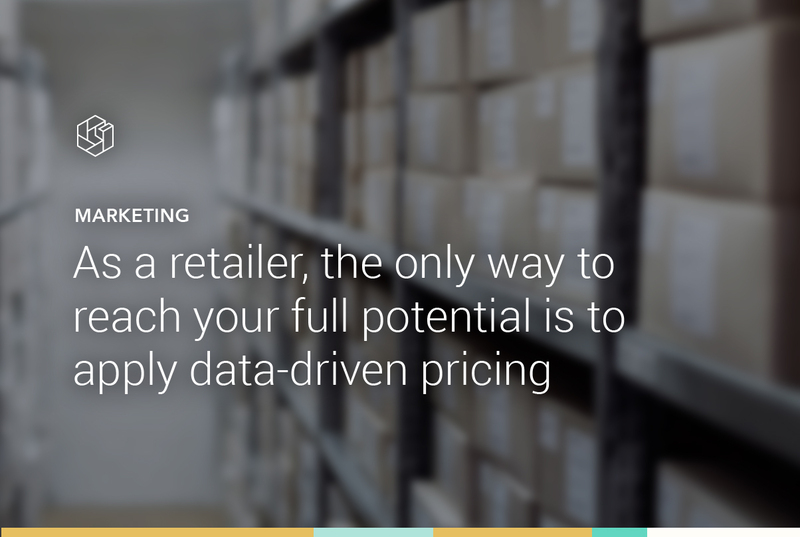 As a retailer, the only way to reach your full potential is to apply data-driven pricing. Otherwise you’ll be paying too much for your products, holding too much stock and wasting money on marketing. Using three examples we can illustrate how pricing software can give different departments the insights they need to take the right decisions.Many companies (particularly the bigger ones) have a silo mentality when it comes to pricing, procurement, supply chain and marketing. Although pricing is a crucial factor in optimising profit, departments rarely share pricing data and insights. In many retail organisations the buyers negotiate with suppliers once or twice a year. Traditionally buyers have tried to obtain a small percentage discount on purchase prices for full ranges. Using pricing software creates room for improvement in two areas. In the absence of pricing insights, a buyer will attempt to obtain the highest possible discount percentage, but will be unable to explain why such a discount should be given. Pricing data can be used as a trump card: the buyer can base the proposed discount percentage or amount per product on the lowest price in the market. Rather than sitting down with suppliers once or twice a year, the procurement department can align the frequency of negotiations more closely with daily or weekly changes in market prices. Pricing software can provide the buyer with a daily or weekly report on all products whose minimum price in the market is below the zero-margin price. This report can then be used as the basis for data-driven negotiations with suppliers. In the absence of data, most retailers and their buyers don’t take the price position of a product into account when deciding how much of it they want to stock. With pricing software reports that provide insights into the price position of each product, your buyers will be able to make more accurate estimates of the number of products that will be sold. For instance, such a report may show that you’ll need to negotiate on a better purchase price before buying new stock. It may seem strange, but at most major retailers there’s no communication between the marketing department and the pricing department. As a result consumers may see adverts in which your products are more expensive than your competitors’ products. This results in lower conversion rates and negative price perception. Pricing software allows you to take pricing data into account in offers on Google Shopping. For instance, you can exclude products for campaigns where the price is more than 20 percent higher than a competitor’s average price. Another smart option is the possibility to reduce the offer when the price position in Google Shopping is higher than number 5. Unless you’ve got a monopoly, you need pricing insights to make effective procurement, supply chain and marketing decisions. In practice, however, retailers’ departments rarely (if ever) exchange sufficient pricing data. Pricing software fills in this gap. It means that departments are no longer dependent on each other for information – they always have all the relevant pricing data on hand. Omnia Retail enables retailers to optimise and automate their pricing and online marketing. Pricewatch gives you a 360° view of the entire pricing landscape. Dynamic Pricing automates your pricing for individual products. And Dynamic Marketing allows you to configure automatically optimised offers for all pay-per-click marketing campaigns, such as Google Shopping.